It was confirmed that Injustice: Gods Among Us will also make its way to Apple's iOS in the near future. 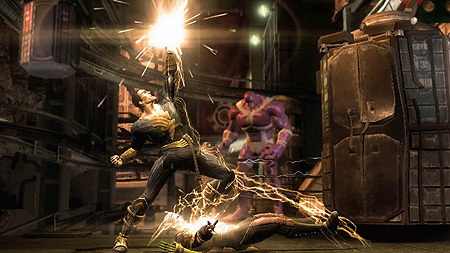 The game is currently in development by Netherrealm Studios and according to Ed Boon this version is not a port of the console versions and will have its own gameplay mechanics suitable for the touchscreen controls. For those of you asking... INJUSTICE for iOS is not a port of the console versions. It has its own unique game mechanic designed for iOS !! When the game will be released and what devices iOS devices will be supported is currently unknown. Further details are also missing, so we cannot confirm any characters or game modes at this point. Many fans thought that the character should have been added as an alternate costume for Captain Marvel, saving the free slot for someone else. Are you one of them? Let us know! Warner Bros. Interactive Entertainment and DC Entertainment today announced that a free demo for the upcoming DC Comics fighting game Injustice: Gods Among Us will be available for Xbox 360® video game and entertainment system from Microsoft and PlayStation®3 computer entertainment system. Fans can find the demo beginning April 2 on the PlayStation®Network (America), and April 3 on the PlayStation®Network (Europe) and Xbox LIVE® Marketplace. The Injustice: Gods Among Us demo features Batman, Wonder Woman and Lex Luthor – three playable characters pulled from the game’s robust DC Comics roster. 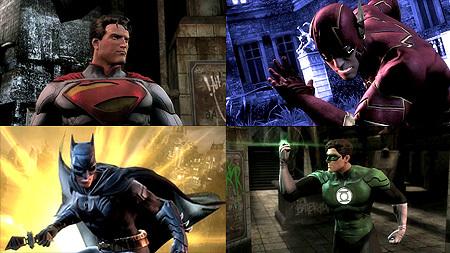 Set in the Gotham City arena, fans can get a taste of the included characters’ unique super powers and individual move-sets as they destroy elements of the world and fight through the multi-tiered arena.